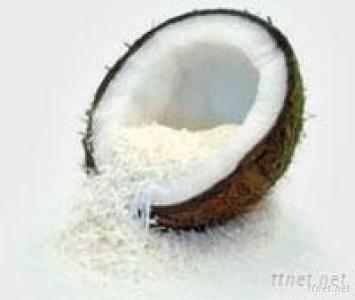 Desiccated coconut is made from finest quality fresh Vietnam coconut. The fresh meats are carefully dehydrated to retain the full natural flavor and white color. During processing of the coconut, nothing is added and only the moisture is removed. Desiccated Coconut powder is a free flowing white powder made from pasteurized, homogenized and spray dried natural extract of coconut kernel. This product as usual for use in making curry, bakery, confectionery, ice cream, drinks and many more.